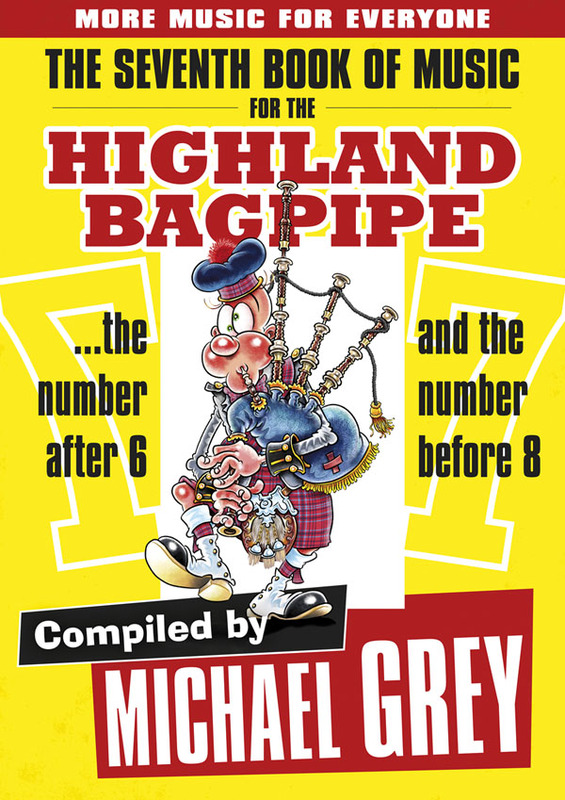 In my travels I’ve found, time and again, that there’s a fairly large caste of pipers who get pretty excited (“get”, as in very, a lot, seriously, hugely, toe-curling-ly) by the maker of a given bagpipe – especially if that pipe is the “right” old school beloved vintage bagpipe maker. Vintage bagpipe makers, the MacDougall brothers, Peter Henderson and, thanks more recently to Stuart Liddell and his sweetly sonic horns, the maker Duncan MacRae, hang among the upper tier: “Oh, just feel the size of that bell”, might say a piper as s/he inspected – caressed with their pinky finger, more like – the inside of a drone top of one of these vintage sets. “Um, yeah, that’s quite something”, I’d think, not completely getting the shwingy arousal. So. You now know I am not a member of this group. I love the old pipes, the workmanship when its good, the sound, the timbre, the tuning. In fact, I love old things, antiques. I especially appreciate the provenance of an old instrument. To hear a pipe set well that was played by a formidable player of the past – now that is cool. Its at these times that the “ghost” in the pipes might make an appearance. But when it comes to the instrument, I am most excited by the reliably good sound that can be made. Harmonics and sustained tuning trump everything for me. If a pipe made in Sialkot can do this – great (and, yes, I agree, that is, at the moment, an unlikely proposition). So, in going through some old pics this afternoon for another project, I came across the photo to the left. Admittedly, had I not seen this, my ramble tonight wouldn’t happen – at least not now. Here’s me on the boards at Oban (the Argyllshire Gathering), the event is the March. I recall Donald MacPherson being at the centre of this bench and Andy Wright on one side of him. The tune I played was “Millbank Cottage”. I remember this because I advised, after the tune was selected, that I would be playing John Wilson’s setting (see page 12 of his book 3). And while they didn’t, I had a real sense of rolling eyes. A long blether here to point out my bass drone tuning – look at that low tuning. Not good. Anyway, this was a set of not-long-played and hard-to-tune vintage pipes made by the London maker, Henry Starck. 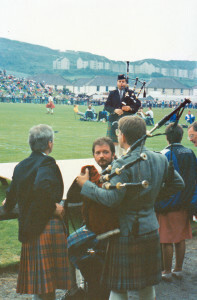 Good fun to see Jim McGillivray (who sold the pipes to me, as I recall – with the best intentions, it must be said), Bruce Gandy and Peter Aumonier in the foreground enthralled with my stylings. Nice to see they are loving my tune! And no brown envelope of cash this day, as I recall.